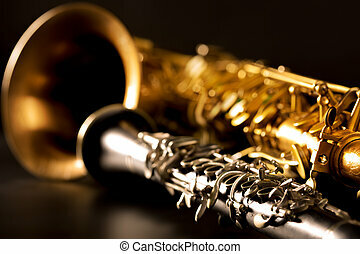 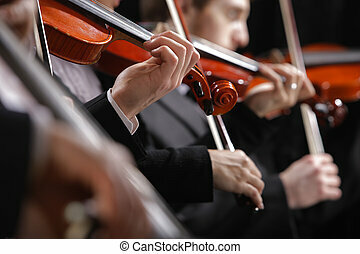 Classical music. 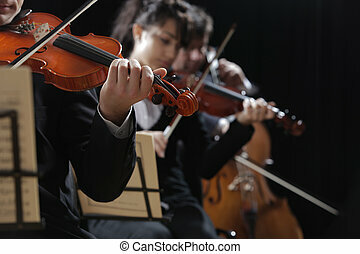 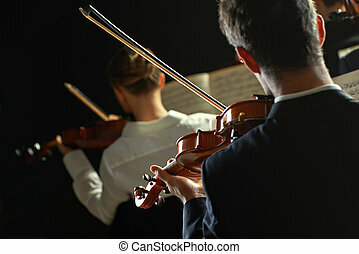 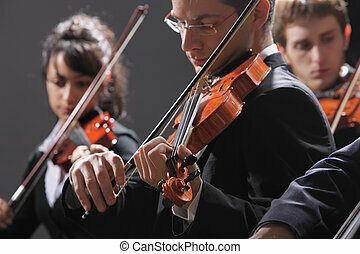 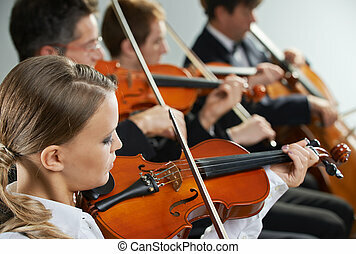 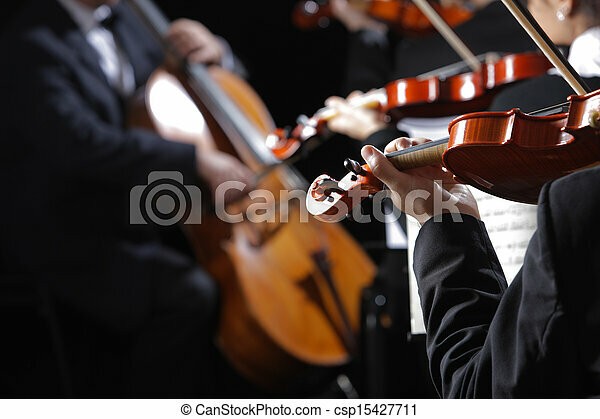 violinists in concert. 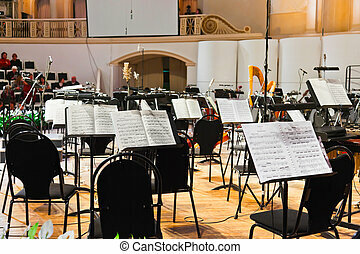 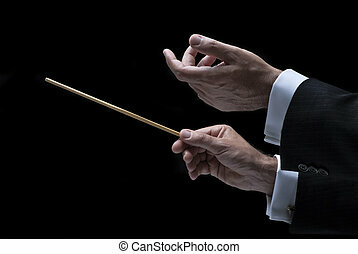 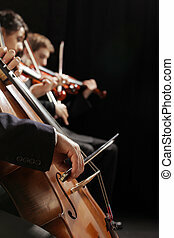 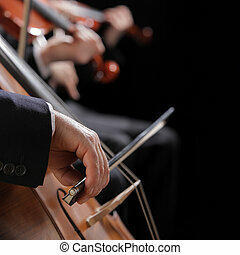 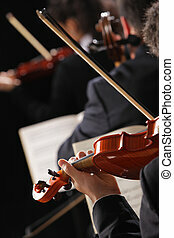 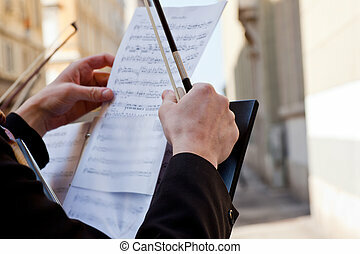 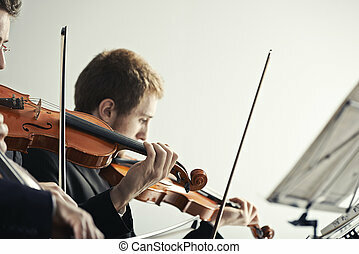 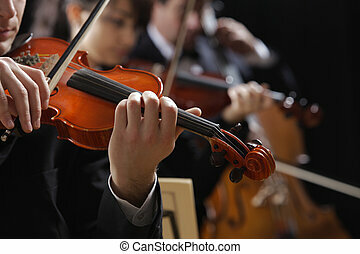 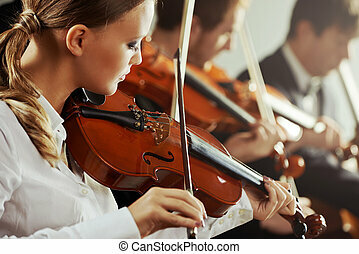 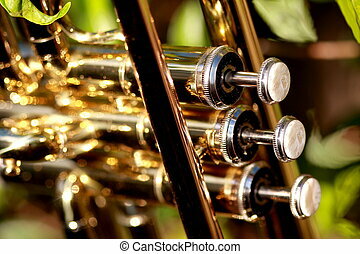 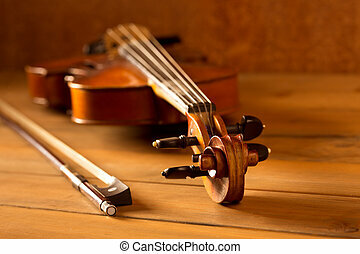 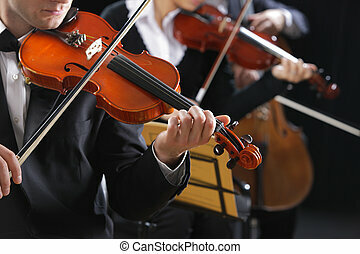 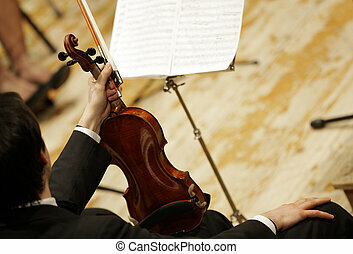 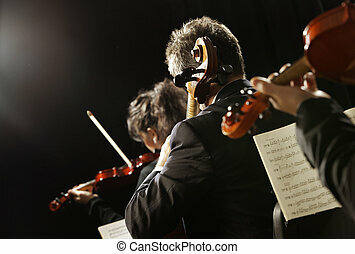 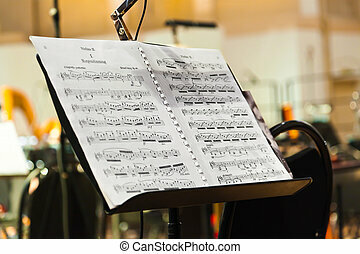 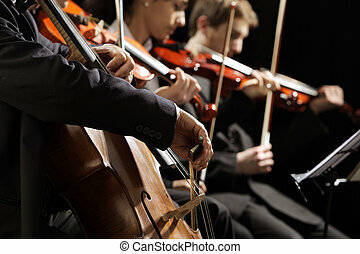 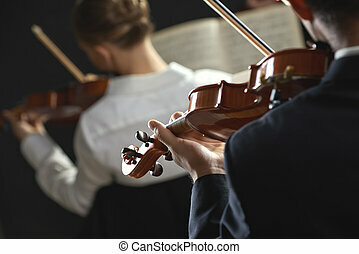 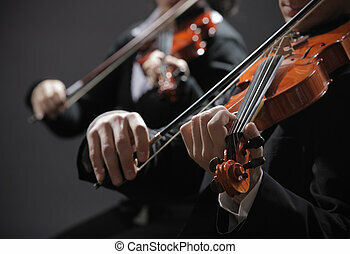 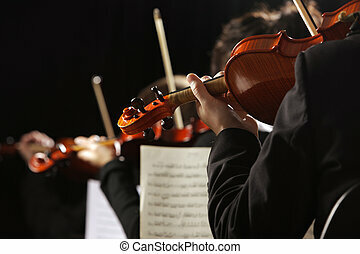 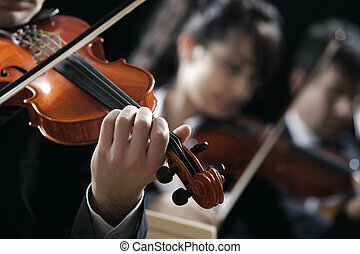 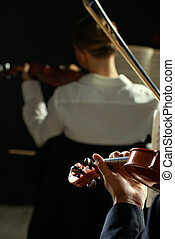 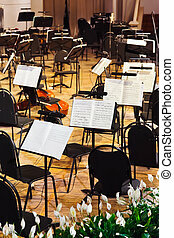 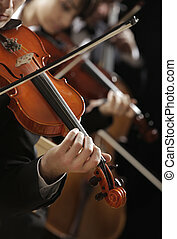 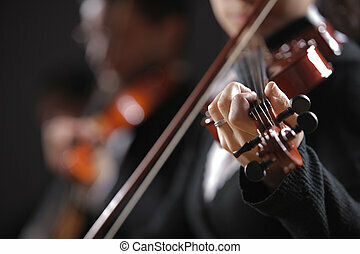 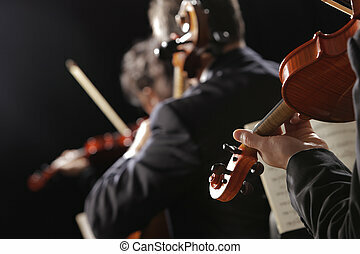 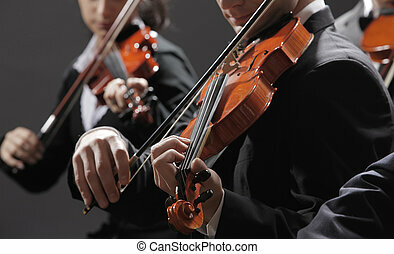 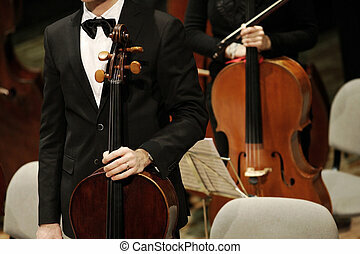 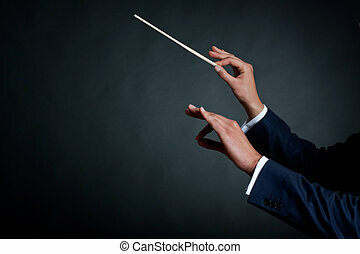 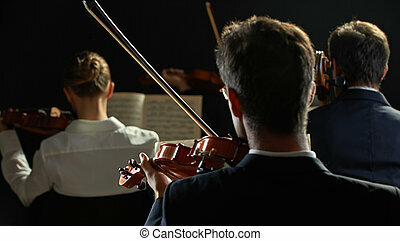 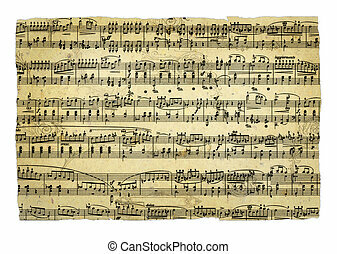 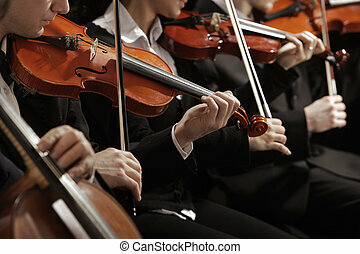 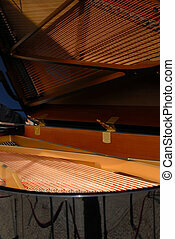 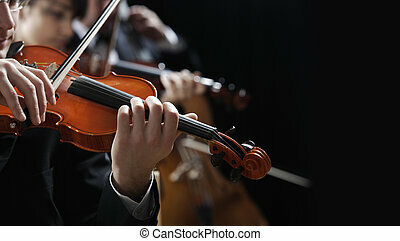 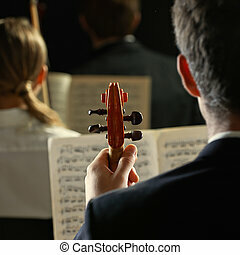 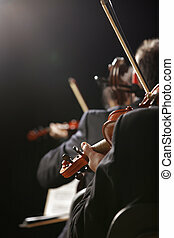 Symphony music, violinist at concert, hand close up. 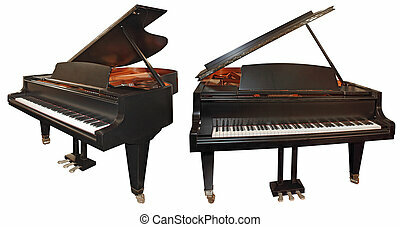 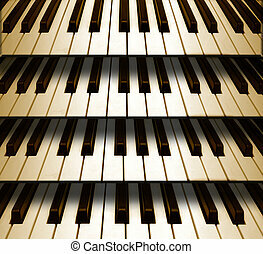 Piano with open cover. 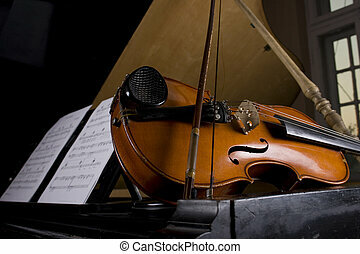 Strings inside visible like in the mirror.